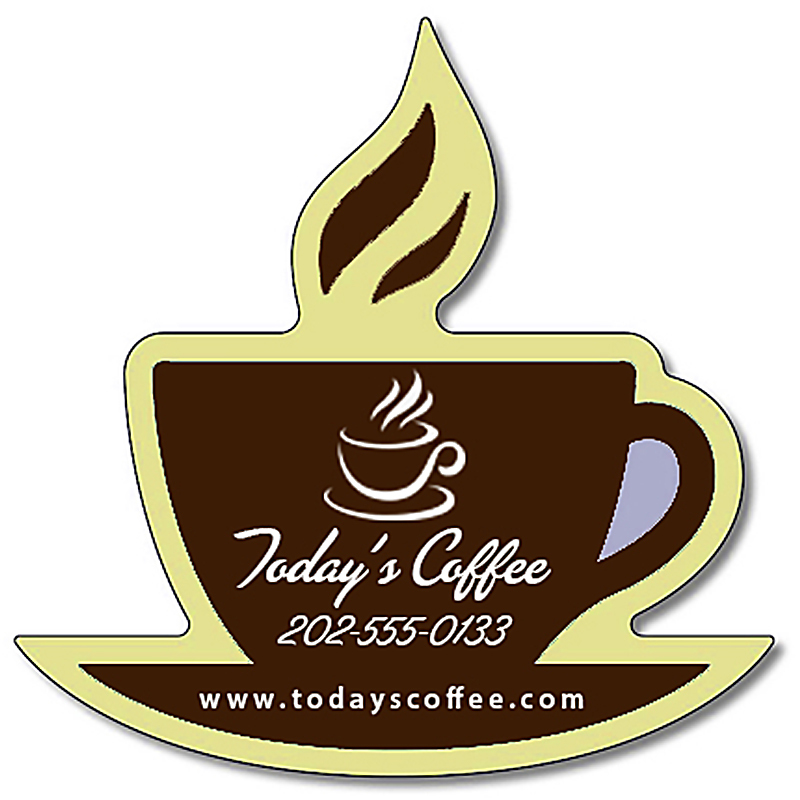 Make your café popular in just few weeks by using our 3.5x3.5 Custom Printed Coffee Mug / Tea Cup Shaped Magnets 25 Mil. You can distribute these custom miscellaneous shaped magnets through tradeshows, sports events or through some in-store activities to make your brand name reach more people. Do not forget to place your brand logo and contact number on these custom printed magnets to let the users find you easily. Order fast to get our free digital design assistance, free digital proofs, free full-color printing and also free shipping offers. Request a quote to know what you can save on ordering 3.5x3.5 Custom Printed Coffee Mug / Tea Cup Shaped Magnets 25 Mil. Product Size: 3.5 in. x 3.5 in.